A military-grade drone-killing ‘death ray’ that can reportedly destroy unmanned aerial vehicles (UAV) from up to 6 miles away could soon be in use in UK airports following a suspected collision with a passenger jet at Heathrow last Thursday. 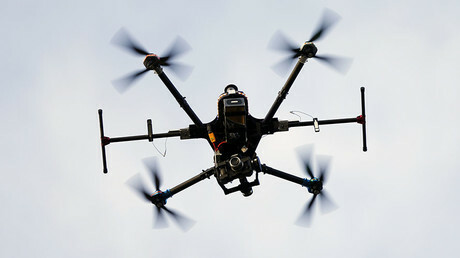 The collision, which led to a drone ban over London during US President Barrack Obama’s UK visit, has forced authorities to consider more aggressive countermeasures. The AUDS Anti-UAV Defence System would be high on any list of potential defenses, reports suggest. 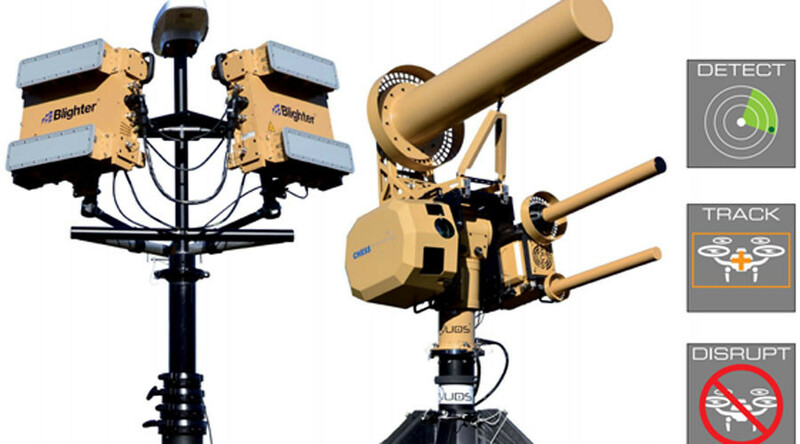 Made by a collection of UK arms firms working under the project name Blighter, the new weapon can detect, track and bring down a hostile UAV from up to 6 miles (9.7km) away using radio waves. Prior to the airborne collision at Heathrow, in which no one was injured, a near miss with a drone occurred at the same airport in December. There have been some suggestions since the incident on Friday that what was said to be a drone at the time was, in fact, a stray plastic bag. Besides the threats posed by civilian drone use, security chiefs have become increasingly worried that easily available drone technology could be used to launch terror attacks. Less technological solutions for dealing with hostile drones over the UK have also been mooted. In February 2016, the Metropolitan Police acknowledged it is looking at a new Dutch law enforcement tactic of deploying trained eagles against suspect UAVs.